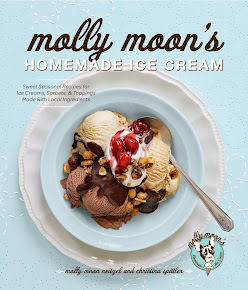 molly moon's homemade blog: U Village now open! We are so excited to announce that our new U Village shop is opening today! Construction is done and we're ready to take our hard hats off and start scooping some ice cream. The shop will open with free kid scoops for kids 12 and under from Noon to 2 p.m. After that we'll be scooping ice cream at our new village home (you can find us in the South Building) from 11 a.m. to 11 p.m. every day. And we're open until 11 tonight so please do come pay us a visit!